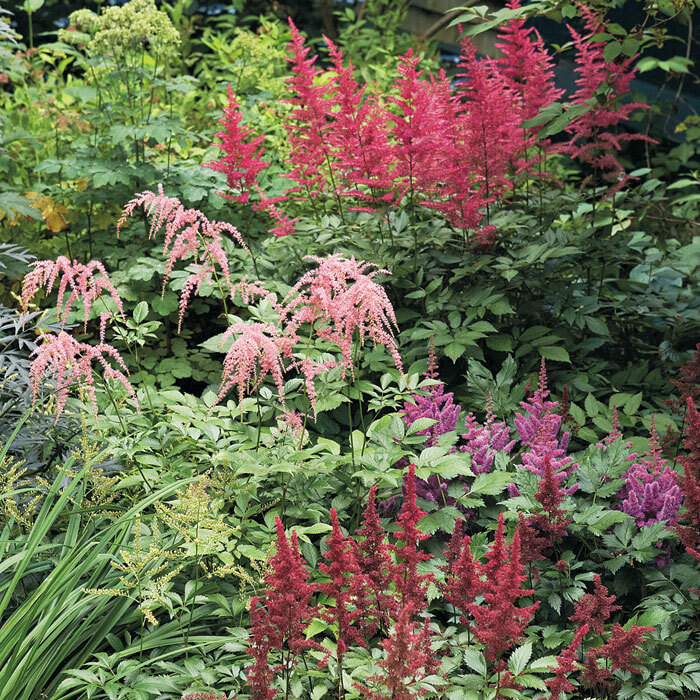 Never let astilbes get too dry — they don’t recover well. They’re stronger in numbers. For larger varieties, three is a good start, while smaller ones need at least five to seven plants in a group to make an impact. Pick a spot with a healthy balance of sun and shade. More than six hours of sun and your colors will fade; less than four hours and you won’t see many flowers. Can’t you already picture the gentle arches of these blooms swaying and bobbing in a light breeze? 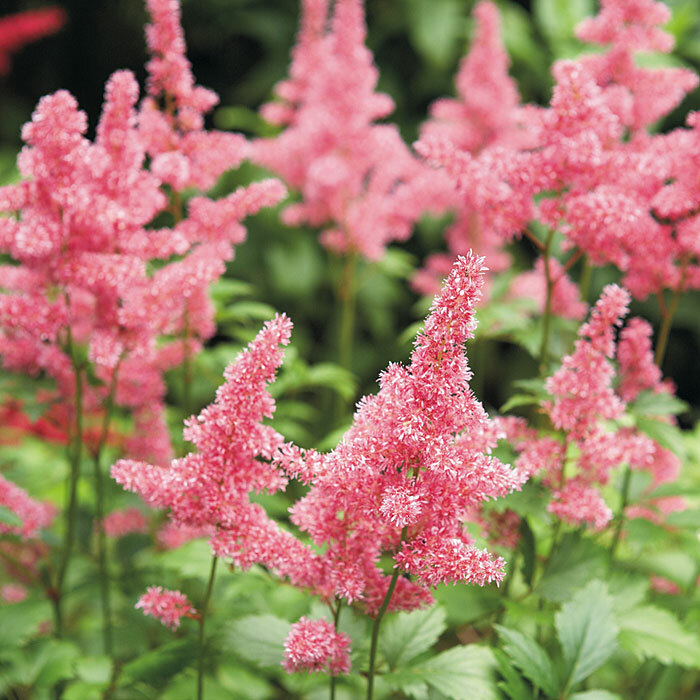 This tall-growing astilbe also does well in a large container, but remember its lower heat tolerance. 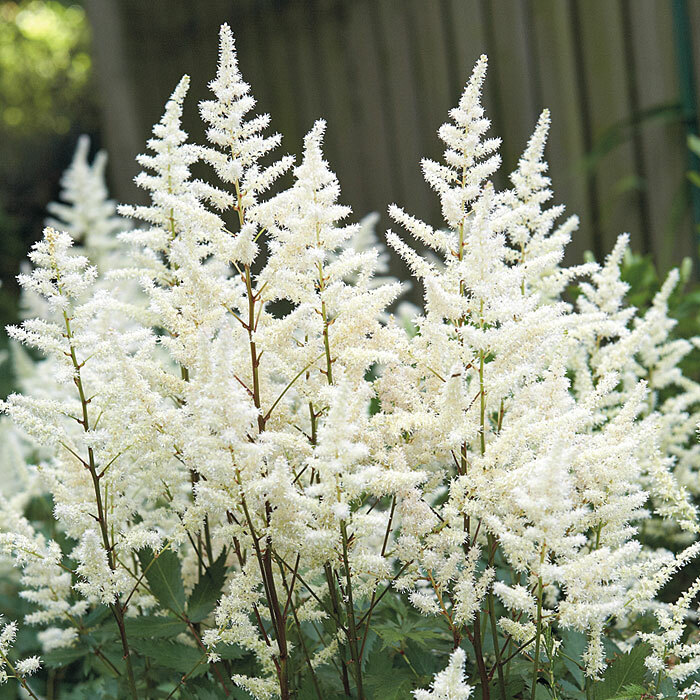 Blooming in late-spring and midsummer, the creamy white flowers of this astilbe make for a crisp contrast with its coarse, bronze-green foliage. This variety even handles heat well and is somewhat drought tolerant! In early- to midsummer, small raspberry buds appear along the deep red stems of this midsized grower. As the buds open, you’ll fall for their long-lasting burgundy color. 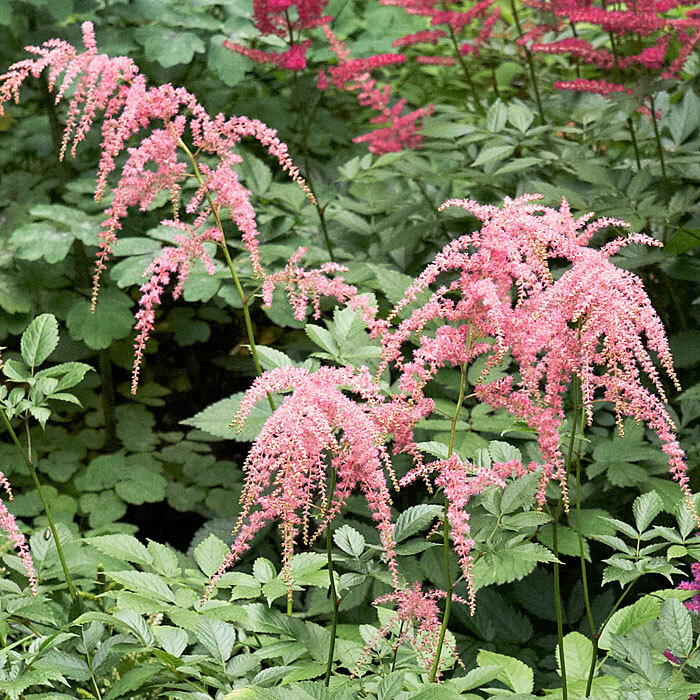 Set them off with white or light-colored flowers to make sure these richly hued plumes never disappear in shade. 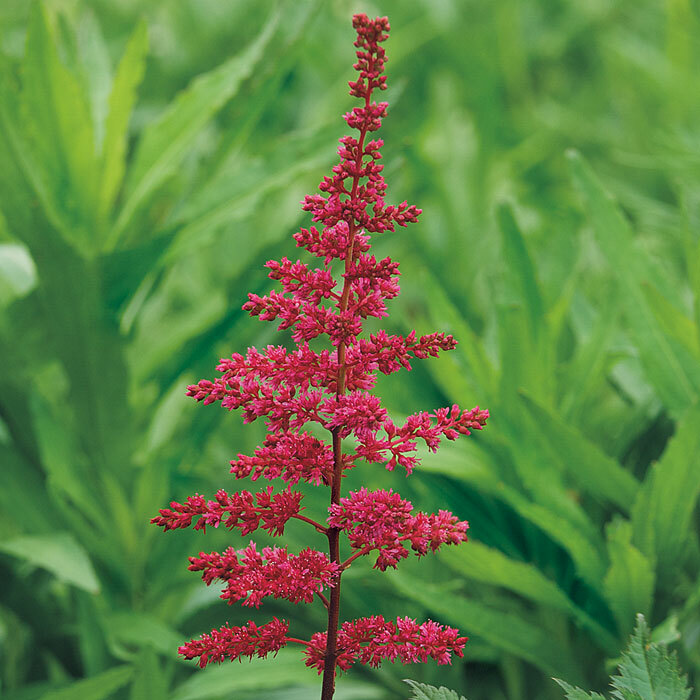 Dense flower spikes make this lush low-grower a perfect border plant. After the late-summer blooms have faded, cut the spent flowers out, and you’ll still have great foliage for the rest of the growing season!